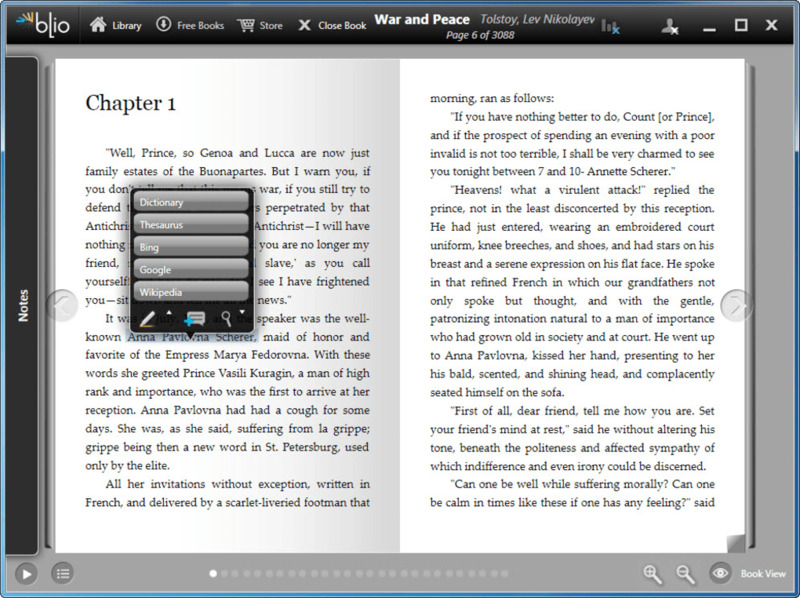 Blio is an excellent ebook reader and manager that also includes a built-in online bookstore and hundreds of free ebooks available for download. The first thing you need to do once you install Blio on the computer is create an account, which only requires an email address and a password. 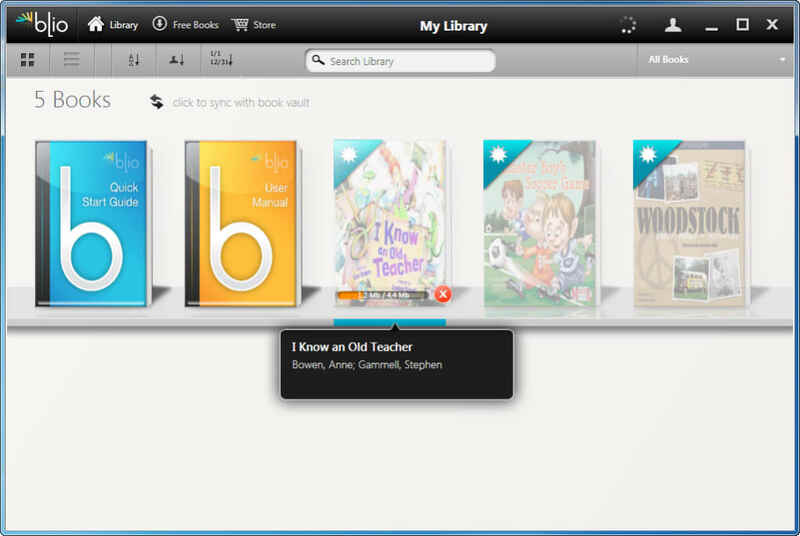 You’re then ready to start downloading free ebooks – or purchasing them from the Blio bookstore – and reading on the computer. 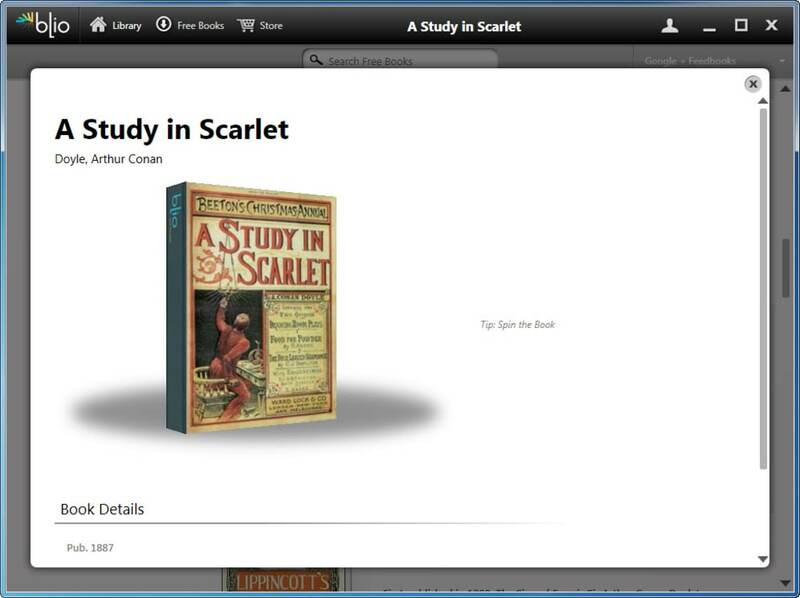 The free ebooks offered in Blio are mostly classics, but that doesn’t mean they’re not worth reading. You can find great works from authors such as Conan Doyle, Tolstoy, Dumas, Wilde and Dickens, among others. If you’re looking for more recent titles, you should head to the bookstore, where you can buy current blockbusters and pay with a credit card. Purchases, however, seem to be limited to the US, Canada and Mexico. The reader app in Blio works perfectly. It displays ebooks with nice page transition animations, and lets you add notes, highlight text and look up selected words and sentences on Google, Wikipedia and Thesaurus, to name a few. 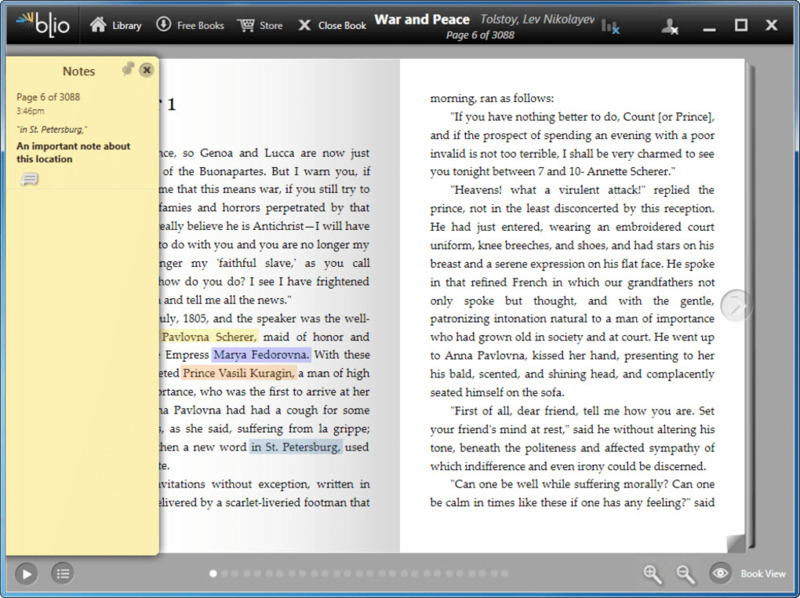 Blio also features a read-aloud feature for the visually impaired. In short, Blio is a great ebook utility, with which you can rediscover classics of literature, find out about new releases and enjoy reading on your computer. Too bad the computer is the only device you’ll be able to read books on, as Blio still has to work on creating compatible clients for iPad, iPhone and Android. 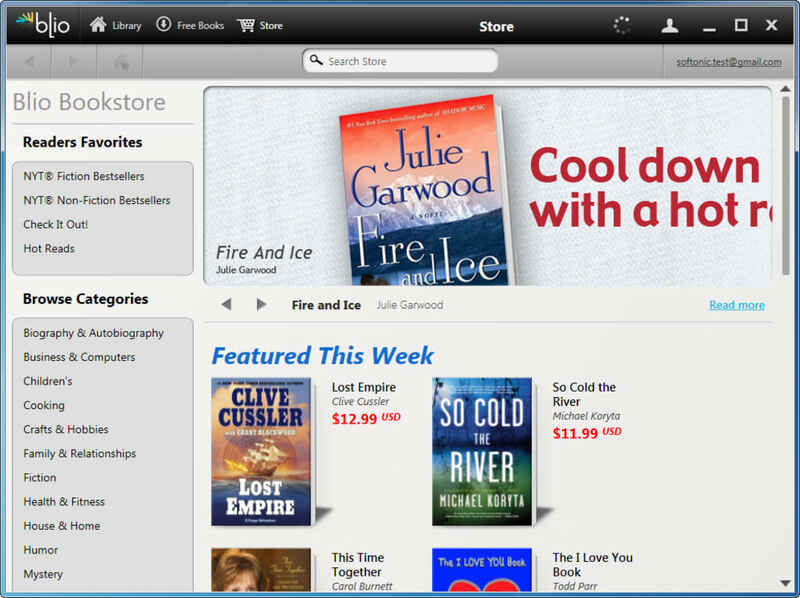 Blio is a really nice ebook reader and manager with access to an online bookstore and hundreds of free ebooks to download. Does what it says on the tin - and very prettily.. Best reader so far. 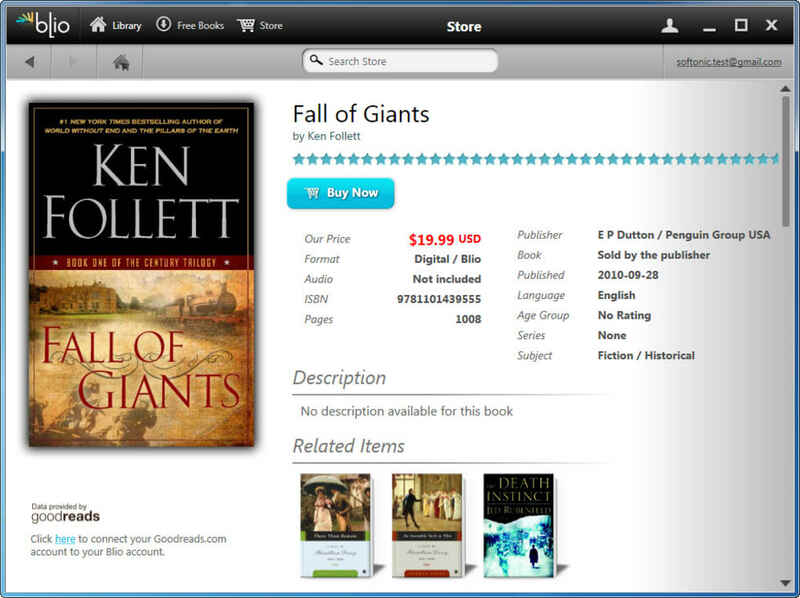 Easy navigation, notes, annotations and reads both epubs and pdf like a dream. 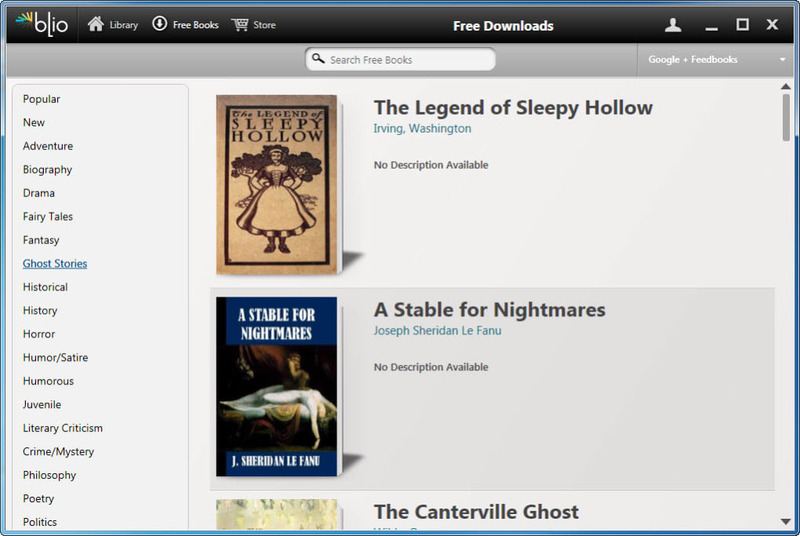 You can &quot;side-load&quot; your own non-DRM books in either of these formats - just copy them into the Blio Folder in My Documents. Very pretty page-curl option. 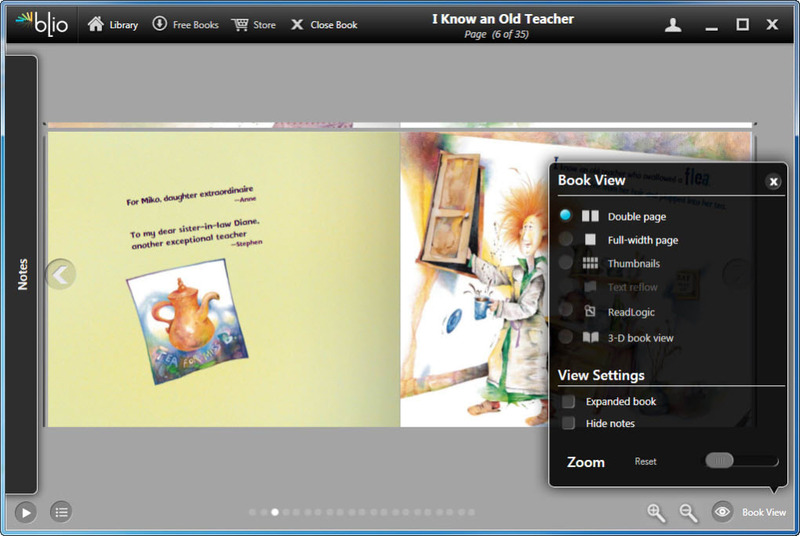 Zoom available for pdfs and you can set text size and colour etc for epubs. 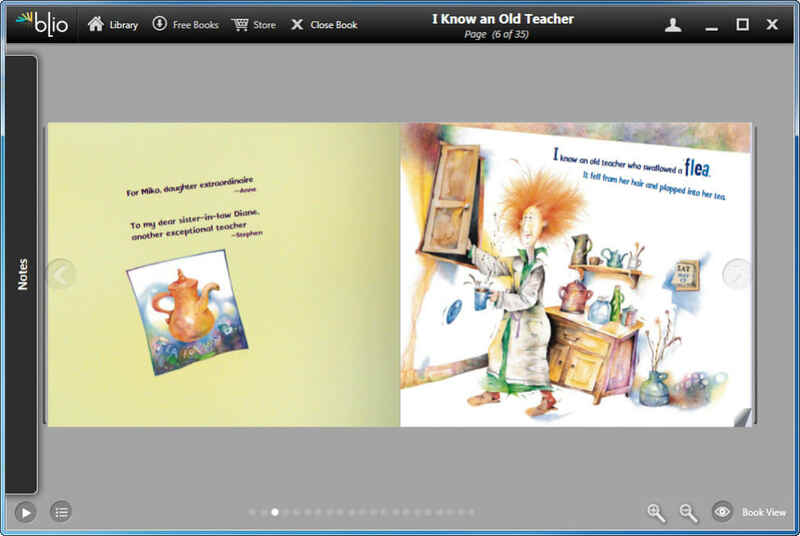 Got to try an epub with illustrations next. And some of the free books they offer are quite good too - already tried a recipe from The Silver Plate Cook Book! It has just closed once - when setting up my account. This needs email and password, but doesn't need any billing info. Need to try the Android version next - is it better than CoolReader? Wish there was a Linux version - then I would have the set! Presentation - clear and pleasing to read. Large free library and easy to side-load. Program unstable.. 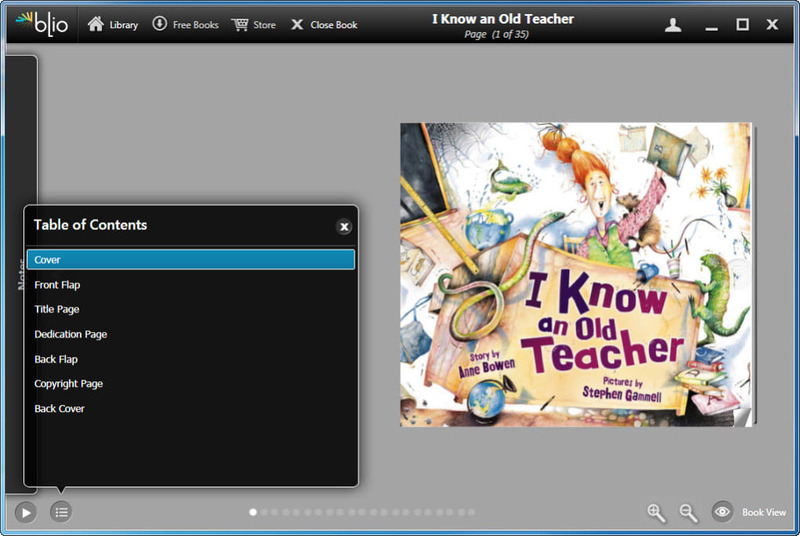 I ran the program earlier; it's impossible to import ebooks. Now I cannot restart the program; it looks like it would be a good program if it did anything. Help files talk about importing e-books even though it's not actually possible. The interface looks okay if the program will start. What do you think about Blio? Do you recommend it? Why?